Fay, an associate professor of biology at the University of Rochester, studies yeast in order to tackle bigger questions about evolutionary biology. For example: What is the genetic basis of evolutionary change? What is the basis of differences among species or among individuals within a species? “Whether that’s differences in temperature preferences or differences in certain domesticated brewing characteristics, we want to know what genes are involved,” Fay says. 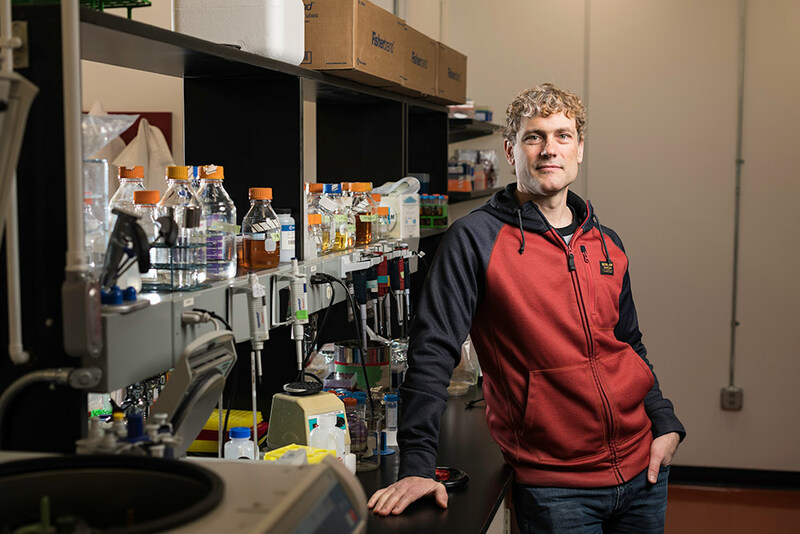 In a new paper published in the journal PloS Biology, Fay and his colleagues report some intriguing findings about a specialized strain of commercial yeast called Saccharomyces cerevisiae, also known as brewer’s yeast. S. cerevisiae has been used to make beer for thousands of years and is genetically distinct from wild populations of yeast. But while brewer’s yeast has specialized characteristics, its historical origins have been difficult to determine because yeast was around long before people discovered microorganisms. Fay and his colleagues set out to unravel the complex pedigree of brewer’s yeast by analyzing its genome. What they found was surprising: the genome of brewer’s yeast is actually derived from a combination of the yeast strains used to make European grape wine and the yeasts used to make Asian rice wine. The results provide information about the domestication of organisms and may offer brewers insights that can lead to novel, new beer flavors. Just as wolves became domesticated dogs and wheat became a domesticated crop with the spread of agriculture, brewer’s yeast was domesticated from its wild ancestors. Brewer’s yeast is one of three essential ingredients—along with water and a carbohydrate such as barley—that make up beer. Brewer’s yeast is known for its strong fermentative characteristics that, in the presence of oxygen, allow it to convert sugars from the carbohydrate into alcohol; it has gained the ability to competitively dominate other species in high-sugar, low-nutrient environments. Most beers, especially Western beers, are one of two types—ales or lagers. Cell division within the yeast—and the temperature—are essential in determining the beer’s flavor. “Genome changes that occurred during cell divisions have had a clear impact on subsequent beer strain diversity and have likely played an important role in specialization to various brewing styles,” Fay says. Wild yeast strains, for example, work in completely different ways than traditional brewer’s yeast, from the temperatures at which their mitochondria undergo fermentation to the ways their cells stick together—determining whether the yeast will rise to the surface or sink to the bottom during fermentation. 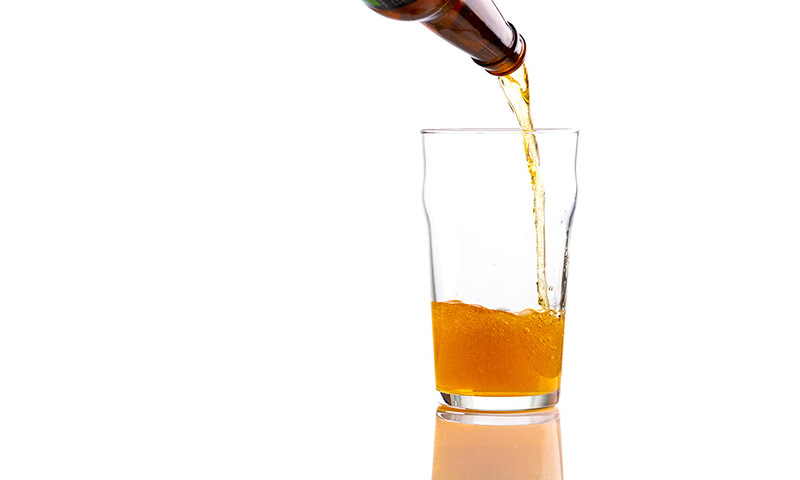 These characteristics, in turn, affect a beer’s taste. It can be difficult for researchers to trace the origins of domesticated organisms because an organism’s lineage is often clouded by migration, gene flow, and intermixing with other groups. But the researchers found that brewer’s yeast has several unique characteristics that allowed it to remain relatively isolated from other species. For one, brewer’s yeast is polyploid, meaning it has three or four copies of the genes in its genome. Human diploid cells, by comparison, have two copies of 23 chromosomes (46 chromosomes total) and human haploid gametes (egg and sperm) have only one copy of 23 chromosomes. Because it is polyploid, brewer’s yeast does not easily combine naturally and exchange genetic material with its wild ancestors. That leads to less contamination, allowing researchers to more easily trace the strain’s lineage. “Polyploidy provided the yeast strain with a means of remaining isolated from other populations and provided us with a living relic of its ancestors,” Fay says. To reconstruct the history of modern ale strains, Fay and his colleagues sequenced and compared the genomes of modern brewer’s yeast to a panel of reference strains. That’s how they discovered that the genomes of the modern beer strains were similar to the genomes of European grape wine strains and Asian rice wine strains. The researchers conjecture that modern brewer’s yeast is derived from a melting pot of fermentation technology, resulting from an East-West transfer similar to the spread of domesticated plants and animals by way of the Silk Route, thousands of years ago. While yeast has traveled the world, brewers have used different strains of S. cerevisiae in their beers. Fay’s research may open doors for even more unique brews. “Beermakers are experimental, always wanting to try new things and make their beers distinct,” he says. “Very recently—and our study will add to this—beermakers have been exploring using other yeast strains besides the typical commercial beer strains.” These experimental techniques have included open-casket fermentation, which involves a mixture of bacteria and yeast species, and utilizing wild strains such as in Heineken’s wild lager series. “Right now you can make a beer out of the large number of brewing strains that are available. 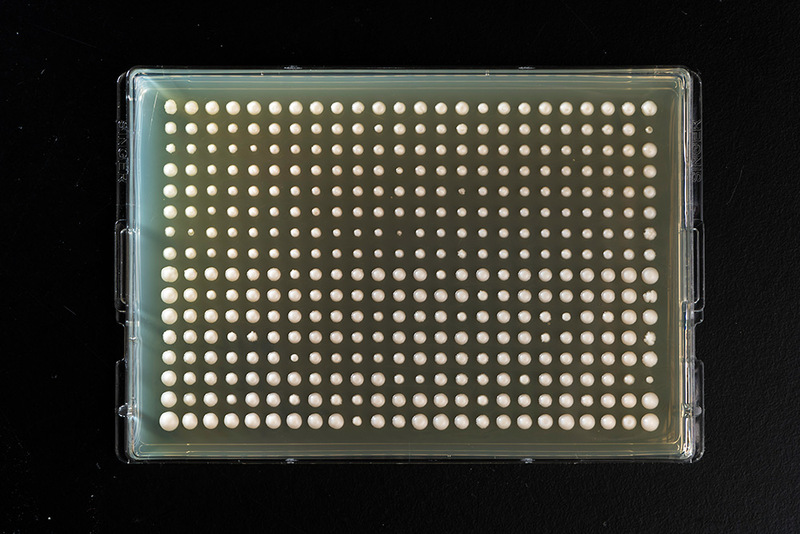 If you really want to be creative and do something different, you could go out and use a wild strain of yeast, but you need to be able to combine the beneficial characteristics of the yeast strains that are commercially available with novel characteristics.